Selected for you this week: Goat’s cheese, grape and pecan balls, a recipe out of Hubert Cormiers yogurt recipe book ‘Ma table festive’. It’s a great appetizer to make, when you have friends around! This recipe was part of the unique yogurt tasting session at the 4th Yogurt Summit in San Diego. Rinse the grapes in cold water. In a small bowl, mix the yogurt and goat cheese. Coat each grape with the goat cheese mixture to make a small ball. Pour the crushed pecan nuts onto a small plate. Roll the balls in the pecans to cover them entirely. Greek yogurt has an interesting texture. It is smooth and quite thick. However, some recipes require an even thicker texture, a little like cream cheese or mascarpone. By draining the yogurt you remove part of the whey. In doing so, you get a firmer yogurt. Line a colander with cheesecloth (or a clean kitchen cloth, kitchen paper or a coffee filter). Pour in the Greek yogurt. Place the colander over a bowl and leave in the refrigerator for around 4 hours. The longer you leave the yogurt to strain, the thicker it will be. 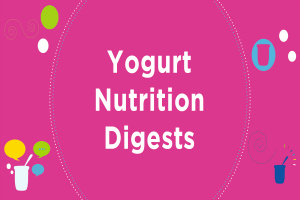 Remove the yogurt from the colander and keep for up to a week in a sealed container in the refrigerator.